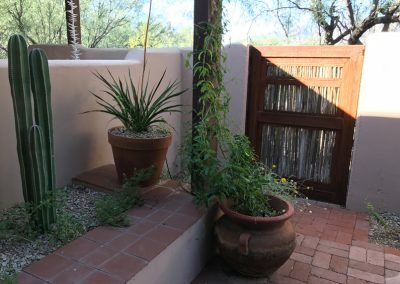 A small townhouse in the Old Fort Lowell Historic District was in need of some screening and maintenance. 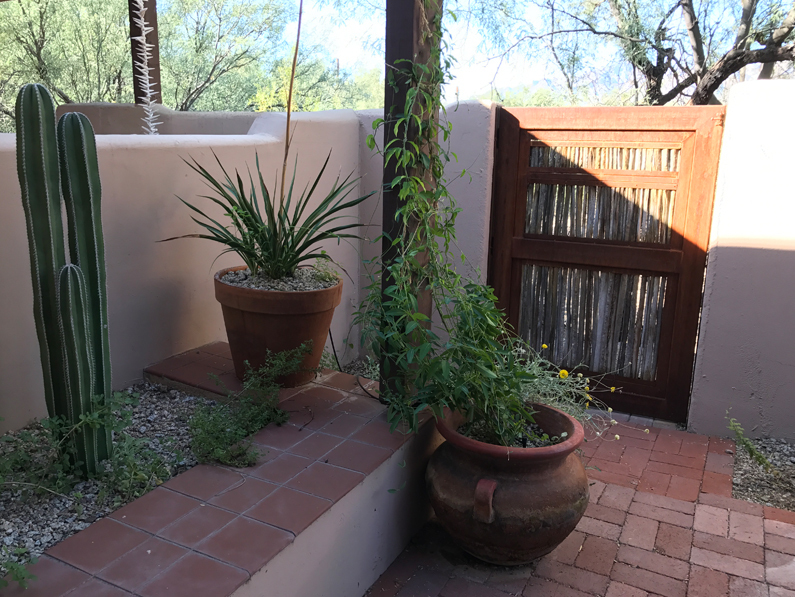 The dilapidated gate was replaced with a Steel and Saguaro Rib replica of the original wooden gate. 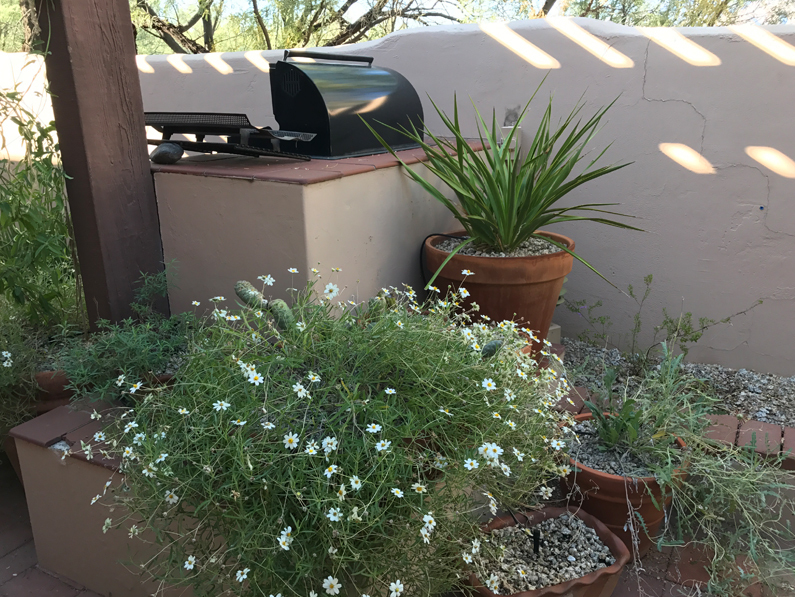 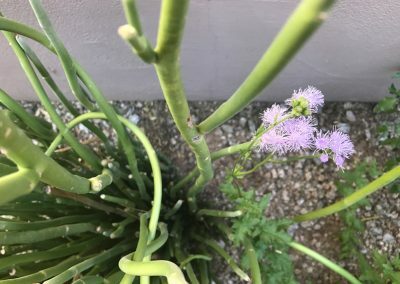 The home’s orientation and adjacent Mesquite Bosque created severely contrasting microclimates – in the summer the patio is blazing hot, but in the winter it is exceptionally cold. 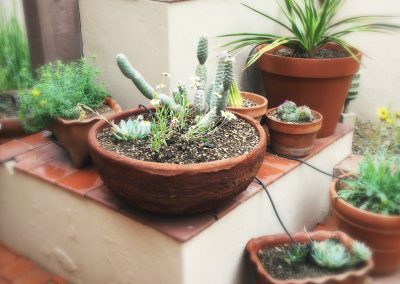 Plants were chosen to survive a typical cold spell and withstand the summer heat. 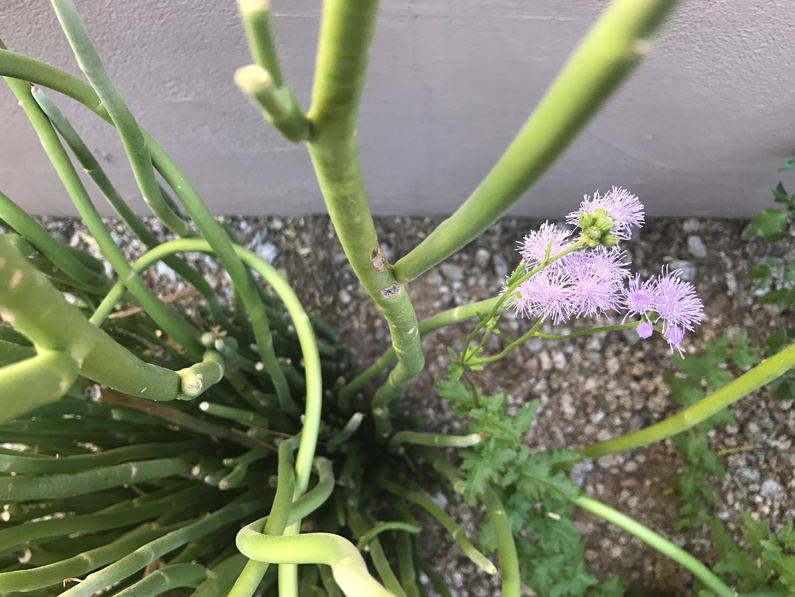 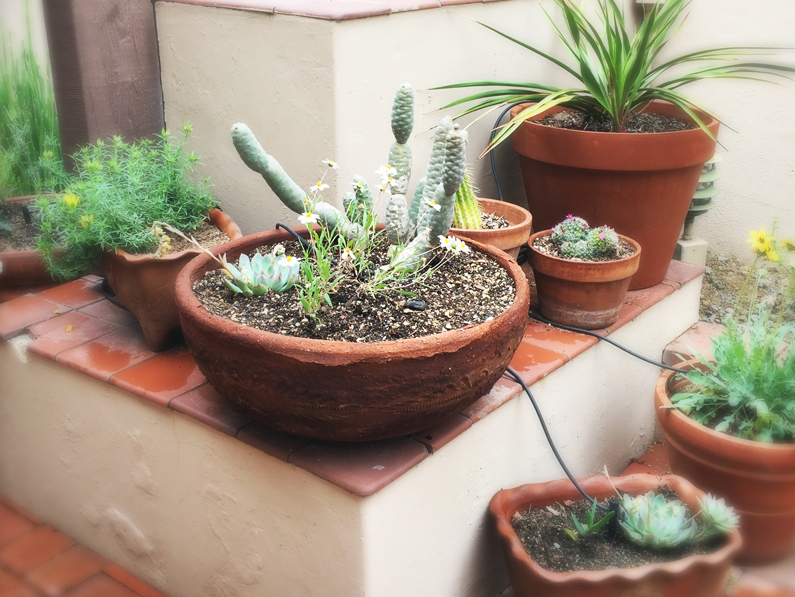 Due to the limited space in ground, terra cotta pots were planted with drought tolerant plants to create depth and interest from within the home.